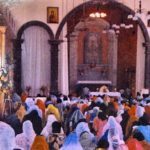 Tranmere Parish, through its support for the St Vincent De Paul Society, has for many years had a ‘twinning’ relationship with three ‘Conferences’ in India. • St Sebastian Parish Conference. • Sacred Heart School Conference. • St Mathew Parish Conference. Nearly all ‘Conferences’ in Australia have Twinning Partners in other countries. In South Australia conferences are twinned with 140 partner conferences in India, Thailand, The Philippines and Indonesia. • We pray for each other. • We correspond with each other. • We provide some financial support for Twinning Partners in need. It is a small, but most densely populated state in south-west India. It has lush green plains and hills, beautiful lagoons and magnificent beaches. 25% of the population is Christian, more than any other state in India. The rainy season or monsoon lasts from May till August. Heavy rain and storms frequently cause havoc, especially for the people living on the coastal plains. If these rains arrive late then the state suffers from drought and electricity shortages. 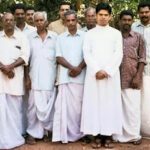 The Conference is in the village of Madukka, which is part of the Kanjirappally Diocese in Kerala State, and follows the Syro Malabar Rite.Kerala is a small state with a large population; 38 888 sq km with 31 million people It is called ‘God’s Own Country’, because it is rich in natural beauty, lush green hilly slopes and plains, lagoons and long sea coast. The language is Malayalam. The state is divided in Districts (shires) which are subdivided into Taluks. In May the wet season, the monsoon, starts. It rains for some 4 months and can often cause damaging floods, especially in the coastal plains. 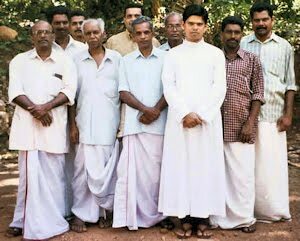 In Kerala Hindus, Muslims and Christians live together in relative harmony, but in other parts of India it is not so easy. Hindu people receive preferential support. 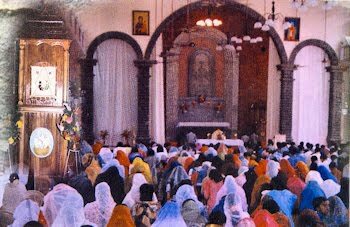 The Hindus fear that Christians are helping the downtrodden in order to gain conversions. 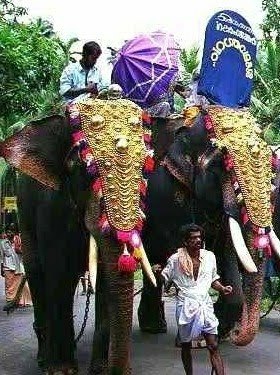 On August 27 they have a State Festival, called Onam. It lasts for 10 days. There are sports and games and people wear new dresses. St Sebastian Conference was established in a remote village called Punchavayal. This village is in the hills above the coastal plains of the state of Kerala in the south-west of India. 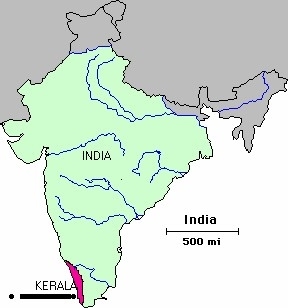 Kerala is the most beautiful state in India; ‘God’s Own Country’. There is an abundance of forests and elephants live there, especially in the rainy season. St Sebastian parish is very near to the well-known Sabarimala Forest. 1982 was a very significant year for Punchavayal, because it was connected to the electricity supply and a parish primary school was also started. There is no water supply. Water is collected from their own, or neighbour’s, well. Since 1989 our correspondent has been Joseph Kurian. From his letters we have learnt much about life in Punchavayal. Sadly Joseph has died in 2009, as a result of cancer. We pray for his family. Over the years Punchavayal has become a more densely populated area and there is not enough arable land for all to grow their food. In 1994 there were 380 families in the parish, 70% being poor. In October 2000 the parish completed the building of its new church. It has been built over a period of 10 years by the parishioners. It is beautiful. Rubber was the traditional livelihood, but the price has dropped dramatically over the years. The Punchavayal Rubber Factory now sells doormats in Australia. There is an oversupply of rubber and the price is very low. Most people here produce rubber on small land holdings. 70% of the people have their own land, but most have no proper house. The poor have no work during the wet season, because they depend on the rubber trees. The sap cannot be taken from the bark in the rainy season. Sacred Heart Junior Conference is based in a Catholic school in Ponkunnam, a small village involved mainly in rubber cultivation. The Conference has 2 representatives in each class of the school, which has about 15 classes. They are responsible for conducting weekly secret collections and keeping records. They do not learn in English. 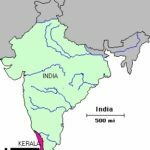 The regional language, Malayalam, is the instructional language. There are no tuition fees. The Conference provides financial assistance for poor pupils. Each year more than 100 students are given support with school materials or uniforms. Since 1995 our correspondent has been Mrs Annamma Lukose. Ponkunnam is in an area that suffers when the monsoons are severe. The homes of the poor are then very vulnerable and often much damage occurs. Loss of life is not uncommon. 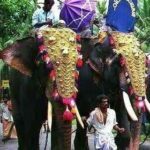 In the third week of September Kerala celebrates the ‘Onam’ Festival. 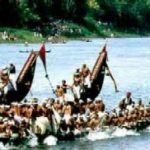 It is a Hindu belief that Kerala was once ruled by a very generous, able king named Mahabeli and all people lived happily. To remember the good old days ‘Onam’ is celebrated. People wear new clothes, eat good meals and take part in traditional games and sports. 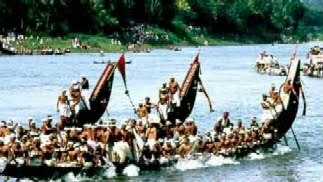 The famous Nehru Trophy Boat Race is held at this time in the lakes of Kerala. Over 16 ‘snake boats’ participate in the race along with scores of smaller crafts. 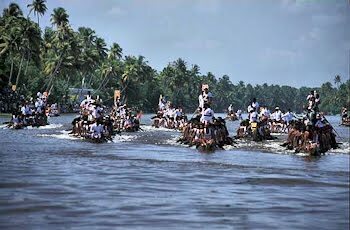 Usually a ‘snake boat’ is manned by four helmsmen, 25 singers and 100-125 oarsmen who row in unison to the fast rhythm of the ‘boatman’s song’. 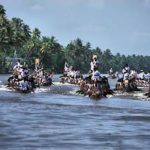 Thousands of people crowd the water’s edge to cheer the huge black crafts as they slice through the waters to a spectacular finish.